ISE Learning Commons: Whose is it Anyway? During the month of April we explored with grade 4 how can we use other people's work respectfully with an objective of understanding plagiarism and citations. For provocation I used puppets students had made during their Drama unit, claiming I made some of them. Afterwards we discussed how this made the students feel (shocked, surprised, confused), and what I was really doing (stealing and lying). I got reminded of my "bad" behaviour multiple times during this unit. The new knowledge was applied to writing citations for the individual investigations about an ancient civilization during grade 4 unit of inquiry. We started with looking at how to cite a book, and rather sooner than later students came back with questions like: "How do I cite an article from a webpage?" "What about the videos from YouTube? ", and "I used an article from World Book Online. How do I cite it?" I worked with small groups in grade 4 classroom based on their needs, explaining the above situations and introducing Easybib programme. We started with simple citations, and a few steps when using Easybib for the students to understand why and how to cite. We then looked at citations and elements included in a citation, discussing reasons for adding these parts. For example, the author name which comes first to acknowledge and give credit to the person who created this piece of work.e, what tools to use, and what do the elements in the citation mean." ... because then you don't show respect. 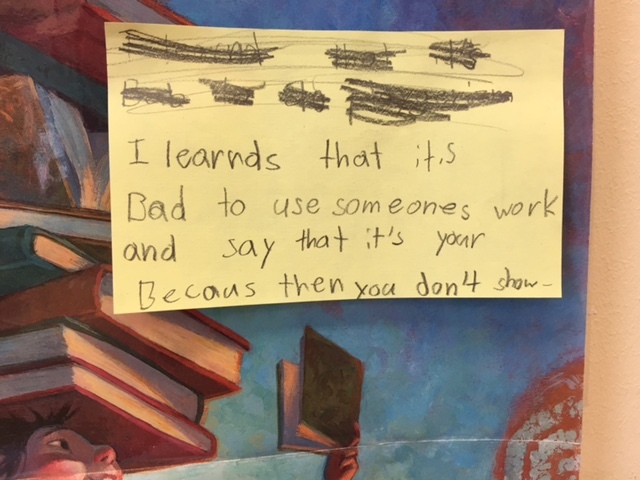 At the end of the unit I asked students to share their biggest takeaway/learning. 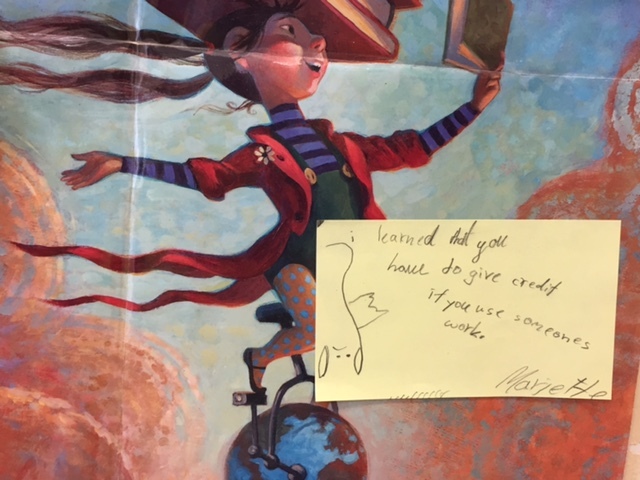 Here's what one student said: "I learned that when you use someone's work you need to give credit and respect to the people because if you don't it's plagiarism." And another wrote: "Always cite or else you are stealing." I learned that you have to give credit if you use someone's work.